According to the study “Asia Deformed Steel Bar Industry Situation and Prospects Research report”, steel rebar or deformed steel bar or a mesh of steel wires are used in concrete constructions and concrete masonry to provide support to concrete structures. Steel rebars used in construction offers high tensile strength and thermal co-efficient value similar to concrete thermal co-efficient value. It is also the cheapest option that is used for concrete reinforcement structures and buildings. It was observed that there is a decrease in the usage of iron due to increasing mining expenditure and the depletion of iron ores reserves. Therefore, the already available steel scrap is recycled and used in the production of steel. The decreasing average life of automobiles and demolition of older constructions is generating huge quantities of steel scrap. Steel rod used for reinforcing concrete which possesses surface irregularities, as transverse ridges, to improve the bond is termed as deformed steel bar. They are also know as reinforcing bars or rebar which are used to bind two materials strongly, limits cracks in concrete, avoid slippage and have higher tensile strength than mild steel rebar. Steel Rebar or deformed steel bar is widely used in the construction industry for concrete reinforcement. It acts as a tensioning device and assists to hold the concrete in a compressed state to carry the tensile load. Steel rebar possess several drawbacks during steel manufacturing that involves generation of various types of wastes that are discharged in water causing water pollution, releases carbon dioxide causing greenhouse effect, responsible for emission of hazardous gases causing air pollution, and corrosion tendency of steel leads to deterioration of constructions. Evolution in Asian construction sector has led to a huge demand for steel rebar even if the drawbacks are posing threat. Various new grades that are introduced in deformed steel bars are Fe-500, Fe-550, and Fe-500D. These are deformed steel bars are corrosion resistant, epoxy coated, and earthquake resistant compared to the conventional rebars. The leading players in deformed steel bars market in Asia are Power Steel Products, Arab Building Materials, Hyundai Steel, Razaque Steels, SMC and Agha Steel Industries. Geographically, deformed steel bars market in Asia is spread across China, Japan, India, Korea, Saudi Arabia and other regions. Asia’s continuing infrastructure development in housing, commercial, and industrial sectors is bolstering growth in the steel rebars market. 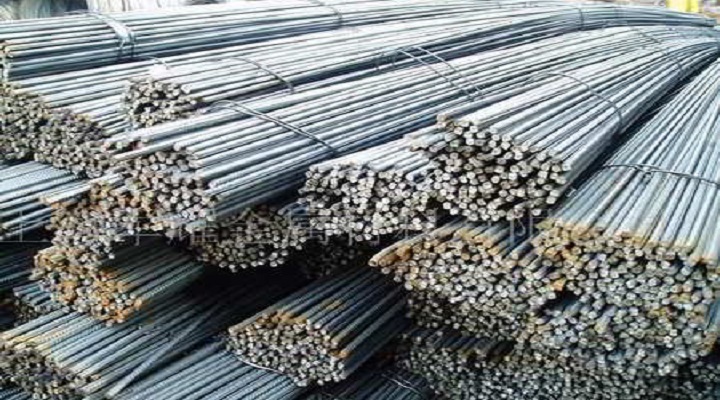 Deformed steel bars in Asia are used in infrastructure, manufacturing, and oil & gas industry. It was observed that the infrastructure sector will dominate the deformed steel bar market in Asia due to rapid development and industrialization in China and India. Few substitutes for steel rebar are basalt rebar, fiber reinforced polymer which are eco- friendly and possess high tensile strength. These substitutes may anticipate some share from the steel rebar market due to the environmental and corrosive effects of steel. Basalt rebar is the best product apart from steel rebar and also has thermal co-efficient almost equal to that of concrete. Deformed steel bar industry will experiencing continuous innovations and advancements due to the rapid technological advancements and enormous applications of steel rebar. With increase in consumption and demand for alternative products will drive Asia’s deformed steel bar industry over the next few years.